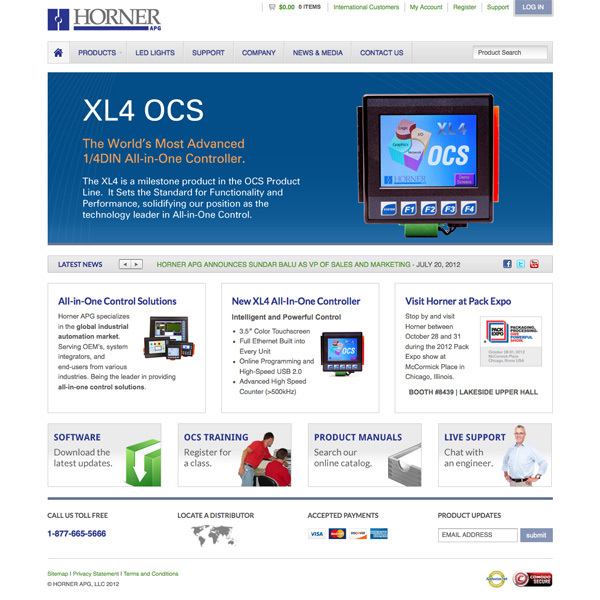 Website designed and developed for a major automation company located in Indianapolis, IN. Objective was to move to a dynamic content management system that could enable client to become an information leader in industrial automation. In addition, integrating the main site with the eCommerce solution was imperative to maximize future growth potential.